Here's a dorm item that can bring some aviation history right to your college wall decor! 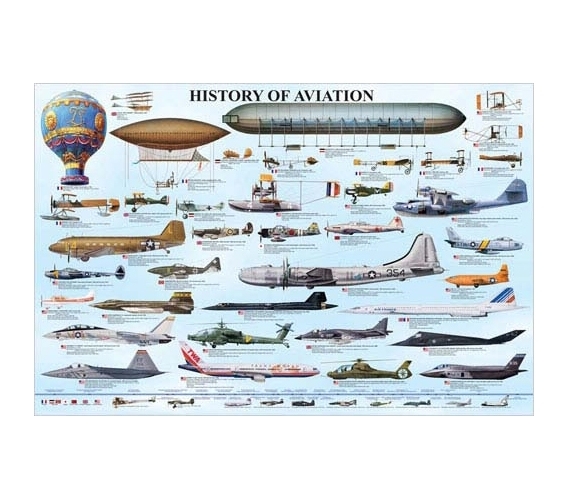 If you're into planes or anything involving aviation, this History of Aviation Poster is a dorm room essential. When you're shopping for college, don't skip over posters for dorms. They're necessary dorm room items if you want to liven up your living space. This educational posters will also mean you have at least one dorm supply with some knowledge to it—not a bad second feature for a dorm decoration.